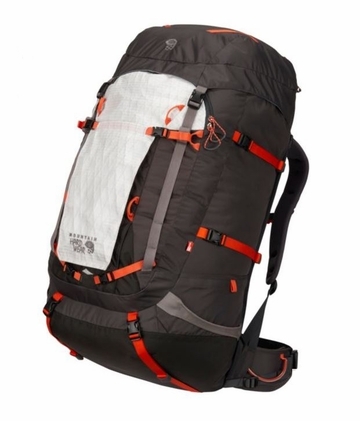 "Designed for professional guides to comfortably haul heavy loads on long-trek peaks like Denali and Aconcagua. Flexible design and compression system ensures this pack can grow-or shrink-according to your needs. OutDry construction bonds a durable waterproof membrane to the main compartment so that your gear stays safe and dry in even the wettest conditions. Pack Weight S/M: 4 lb. 11 oz. / 2.12 kg. Pack Weight M/L: 4 lb. 15 oz. / 2.23 kg. Pack Waist M/L: 33 in - 39 in / 84 cm - 99 cm "